A lot of people tend to believe that if they change something in their day-to-day life in order to protect the planet, it won’t make that much of a difference. It is exactly that mentality that is stopping us from making a difference in the world. If everyone would consider doing the bare minimum to keep the environment safe, the world would indeed be a much less polluted and toxic place. For those of you who don’t know, there are a lot of ways of going green that you can include in your daily life. Moreover, these tricks don’t affect your life in any way. Today, we are going to talk about 10 of them. Did you know that the U.S alone sells more than 30 billion plastic bottles each year? Even more so, not even 20% of them are getting recycled. You should also know that the bottled water you buy usually comes from the tap, so you are basically wasting your money for nothing. What you could do instead is drink water straight from the tap. If you feel uncomfortable with this option, you can always buy a water filter to purify tap water. Electronic waste is extremely dangerous for our environment, since it contains mercury. You can minimize the damage by not changing your electronics when there is nothing wrong with them. Instead, keep them for as much as you can. Also, when they do stop working, don’t simply throw them away in the trashcan, but recycle them properly. If you can’t see any places where people can bring electronics to be recycled in your area, you can contact your local government and propose a solution. We understand the appeal of owning a book, especially if it’s by your favorite author. However, the truth is that a lot of paper and ink are used to print books, and this is damaging the planet’s resources. Instead of buying every single book you’d like to read, why not go to the library and borrow it? It is not only a way of going green, it is also a way of saving money. Do you go to work every day by car? Even if this is more comfortable for you, it is not that great for the environment. Going green with your transportation involves many options. You can carpool with other people, for instance. Or you can ride the bike more often, or even walk. This will also keep you healthy and energized. Public transportation is another option, so you can take the bus to work or the train if you are traveling long distance. The truth is that a lot of the water consumed in a home is actually wasted. We’re talking about extra long showers, or the tap being on while you brush your teeth. All these things that may seem insignificant to you can help our environment greatly if we were to stop doing them. We advise you to look into low-flow showerheads and faucet aerators. They are both great ways of going green and saving money as well. You probably don’t realize how much junk mail you get in a year. Let us inform you that it’s a terrifying 69 lbs. Imagine how much paper we are wasting for nothing. Because very few people are actually interested in the junk mail they receive on a daily basis. 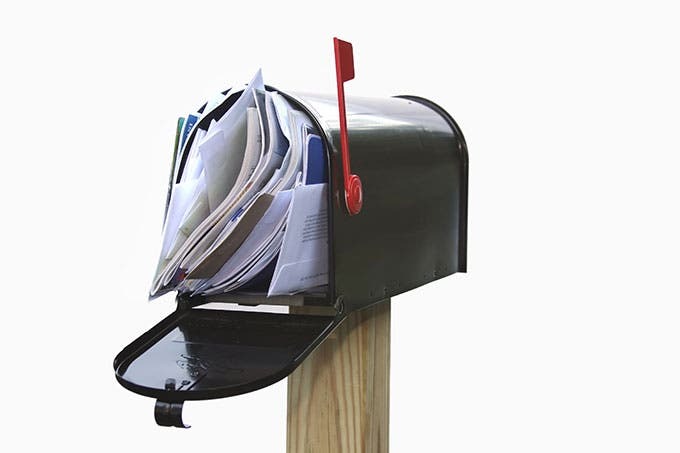 Here is a going green idea that only takes a few minutes: check the websites or services that you have allowed to send you junk mail and unsubscribe. Additionally, pay attention from now on before hitting subscribe. Heating and cooling is something that we can’t live without, that’s for sure. However, what we can do is try to lower or increase the temperature (depending on the season) by a couple of degrees. You will barely be able to tell the difference, but our planet will. Also , try switching to compact fluorescent light bulbs, unplug any device that you are not using, and dry your clothes by hanging them on a drying rack instead of using a drier. Even if you enjoy eating meat, you will probably won’t miss it if you replace it with something else at least one day of the week. Another great way of going green is to eat local food. Not only is it usually healthier, but it also promotes sustainability, because your food doesn’t have to travel that much until reaching your plate. Try organic food and experiment with products grown in your community. The local economy will be thankful as well. The cleaners that you can find in stores are mostly extremely toxic for the environment, not to mention expensive. If going green is your aim, you can start as small as replacing cleaners purchased at the store with ones that you make at home. Don’t worry, they are not difficult to make. All you have to do is mix some vinegar with baking soda, lemon, and soap, and you’re all set. The best thing is that this mixture is not at all toxic. Before clicking the buy button on a website that you normally shop from, think about how the environment would benefit from you purchasing second hand items. Here, we don’t only mean clothes. You can go second hand with many things, from furniture, to appliances, decorations, and so on. Luckily, there are plenty of places where you can find second hand items. We recommend going green by visiting thrift stores, garage sales, consignment shops, and visiting websites such as craigslist. We hope we have managed to prove that none of the going green methods above would affect the quality of your life in any significant way. On the contrary, they would make it better, since you would be spending less money, eating healthier, and so on. Do not hesitate to help preserve the planet and try some of these going green tips as soon as possible!